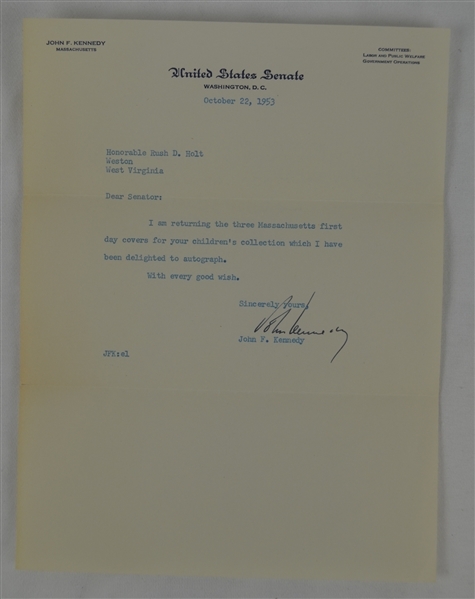 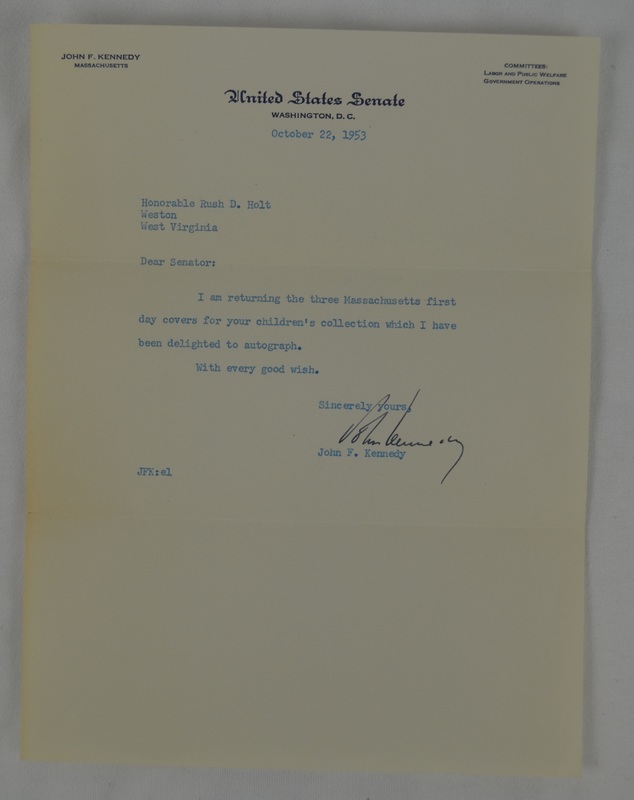 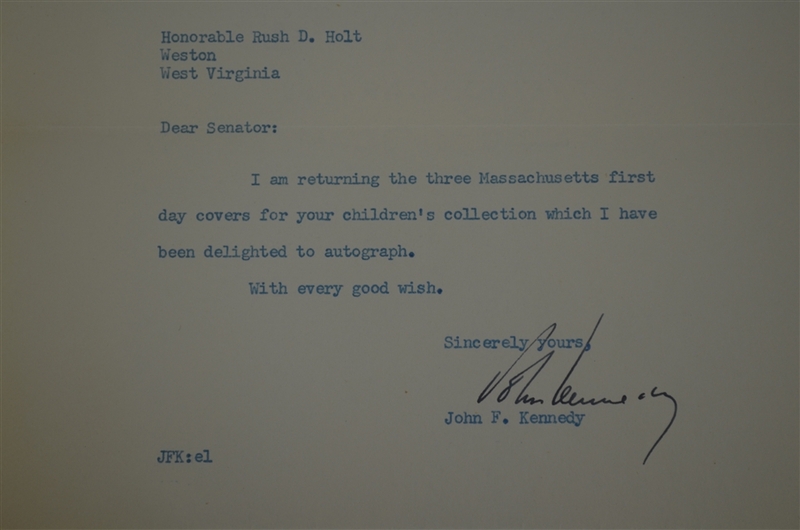 This lot features a letter typed on United States Senate Washington D.C. stationary, dated October 22nd, 1953 and signed by John F. Kennedy in bold, black pen. 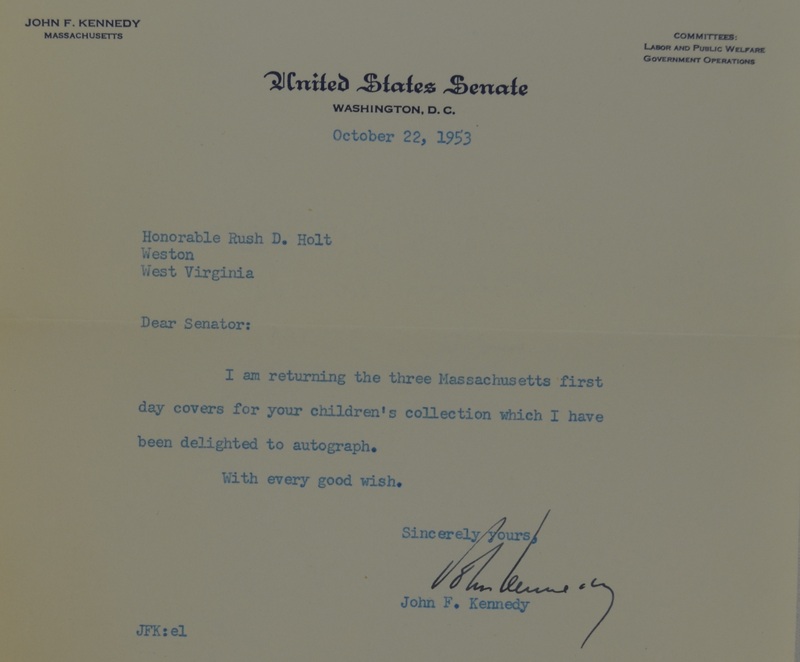 Very early and highly coveted JFL signature as he was a Massachusetts Senator at the time. 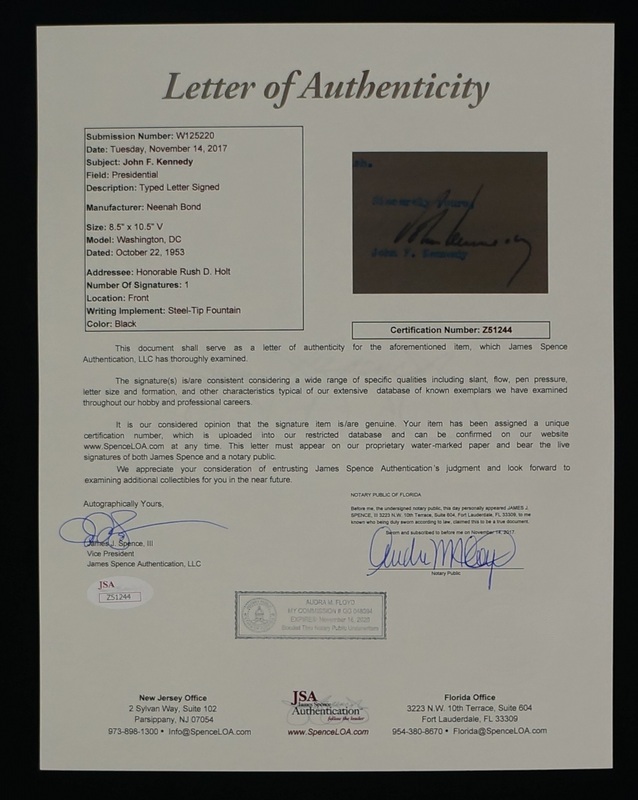 In the body of the letter he references signing a First Day Cover also offered in this auction. 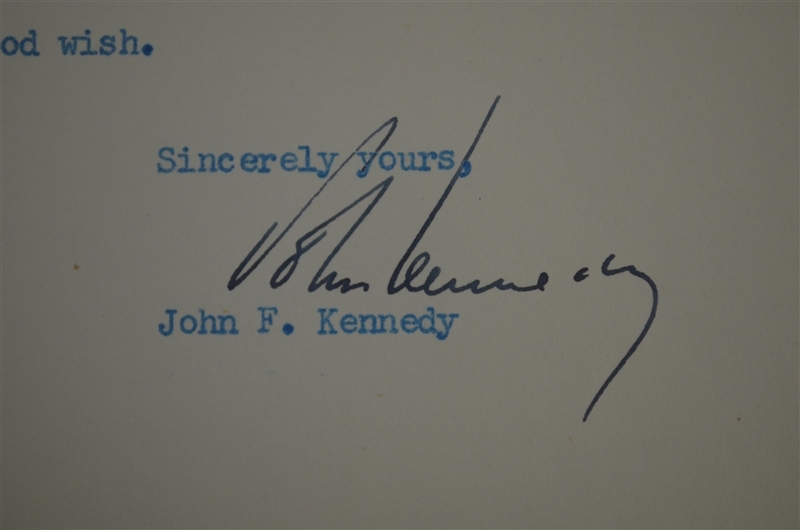 served as the 35th President of the United States from January 1961 until his assassination in November 1963. Kennedy served at the height of the Cold War, and much of his presidency focused on managing relations with the Soviet Union. 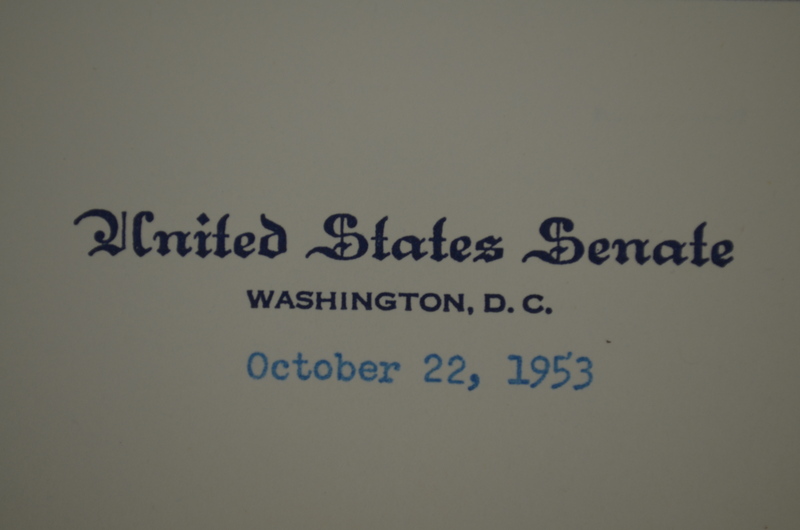 Truly a unique piece of American Political history.